Banana VPN is one of the most popular VPN services in the market. It is brought to you by KIS Limited which is a Cyprus and UK based company. Even though the company started offering VPN service from 2007, it had prior experience in domain registration, web hosting and networking solutions. In this unbiased Banana VPN review, we look at the features provided by the service and check whether or not it is worth your money. Banana VPN offers a choice of 9 different servers from 7 countries. The company has its servers located in major countries like United States, United Kingdom, Canada and Germany. While the choice of servers is undoubtedly less, the company is able to offer high quality services due to its investment in high capacity hardware and dedicated infrastructure. Also there are no additional charges for switching servers so you are free to change them as often as you want. Banana VPN offers ultra fast speeds with no usage caps. The download, upload and streaming speeds are at par with the best providers in the business. This makes the service an ideal choice to play online games, stream videos and movies as well as to unblock websites like Facebook, YouTube, Skype, Gmail, Hulu, Netflix, Pandora etc. The company also offers a dedicated plan for VOIP services which sets it apart from other VPN providers. The Banana VPN service uses 128 bit encryption tunnel to provide secure and safe browsing. Banana VPN doesn’t keep a log of users’ online activities. This makes it ideal for anonymous browsing without revealing your IP address. The service also offers hotspot protection to protect your details from hacking and theft while accessing public hotspots. Banana VPN supports common protocols such as OpenVPN, L2TP/IPSec, SSTP and PPTP. While OpenVPN is a great choice for Windows, Mac and Linux based systems, other protocols are great for mobile devices. Banana VPN supports most Android and iOS based smartphones and tablets as well as DD-WRT routers. The service doesn’t allow P2P activities so it is not a great choice for torrenting. Banana VPN provides customer support through email, live chat and online forums. The live chat is available only during business hours while the email support is available 24 X 7 throughout the year. You can also get answers to common technical problems at the Banana VPN forum. The unlimited VPN plans start from $14.99 per month. You can save a significant amount of money by subscribing to a 6-month ($60) or annual ($100) plan. The company also offers a dedicated VOIP and SSTP plan as well as several location based plans. The dedicated VOIP plan offers a dedicated IP and starts from $24 per month ($110 for 6-months). The location based plans start from $14.99 per month ($60 for 6-month, $100 for 12 month plan) and allows you to choose from US, UK or German servers. While Banana VPN is slightly expensive than other providers and doesn’t offer too many servers, it provides unlimited speed and bandwidth as well as a great choice of subscription plans. So if you are looking for a no-nonsense VPN service provider, Banana VPN is a great for you. To learn more about Banana VPN, please visit their website at: www.banana-vpn.com. 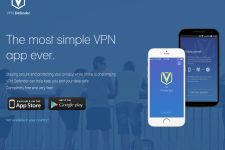 VPNFire Review – Is The Service Any Good? 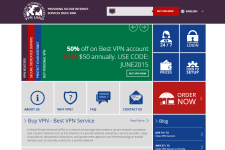 VPNLand Review – Should You Subscribe To This Service? this is a very good service. i signed up for their yearly service and have had no problems from asia to access uk servers.